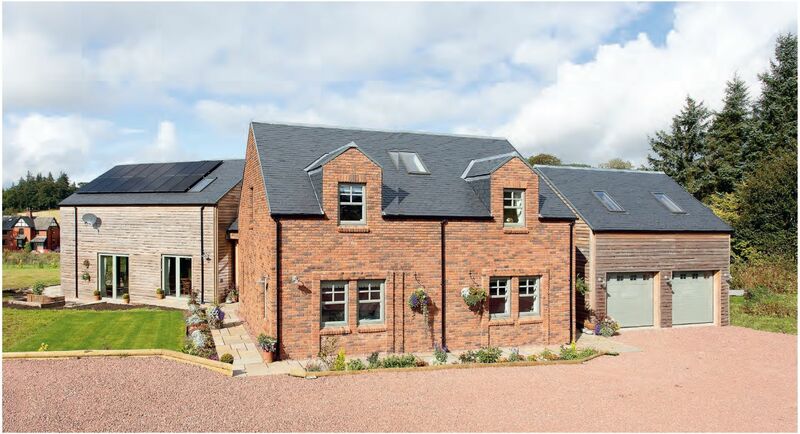 Creating their own home had always a goal for Alistair and Jayne Lewis, who had lived in South Lanarkshire for 30 years before they tracked down the perfect plot. Instantly, they knew it would be the ideal spot to erect the traditional dwelling they envisioned. “We liked the idea of a building that looked like it had been there for a long time,” says Jayne. But the couple’s journey to purchasing this patch of land wasn’t as straightforward as they had hoped. “We looked at the site when it first came onto the market, but there was an electricity cable running across it. This put us off initially, as we were told that it would cost over £40,000 to have it put underground,” says Jayne. The land encompassed a building plot with outline planning consent to erect a house, along with a five-acre pasture. “You could buy these separately or together, so we purchased both – primarily to protect our views,” says Jayne. A pair of local Highland cows that had been looking for grazing land are the field’s current residents. In terms of design, the project took off when the couple met architect Allan Corfield at a self-build show. 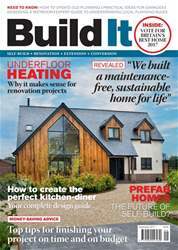 Having previously done some research into structural insulated panels (SIPs) as a construction method for their project, the couple discovered that the Fife-based practice specialised in creating one-off schemes using this build system. This started the ball rolling.